For those who enjoy a long walk in nature but who also like their creature comforts not far away, a visit to The Ramble in Central Park should fit the bill. 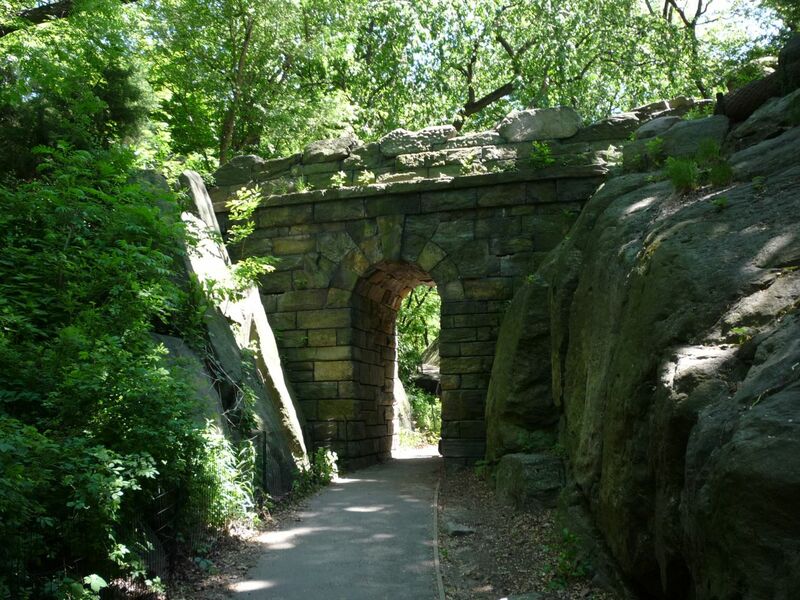 This 38-acre site of wild woods, outcroppings of rock, man-made rustic features, and confusing trails, all set to the tune of birds and sometimes screaming children, sits roughly between 78th St. on the north and 73rd St. on the south. The Lake is to the south. 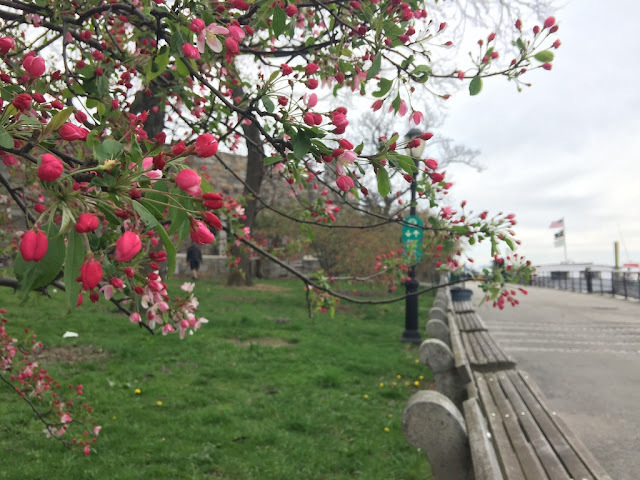 A walk through this intentionally contrived wild northern shore affords great views of the water, its seasonal recreational boaters, and beyond, the formalities of Bethesda Terrace. 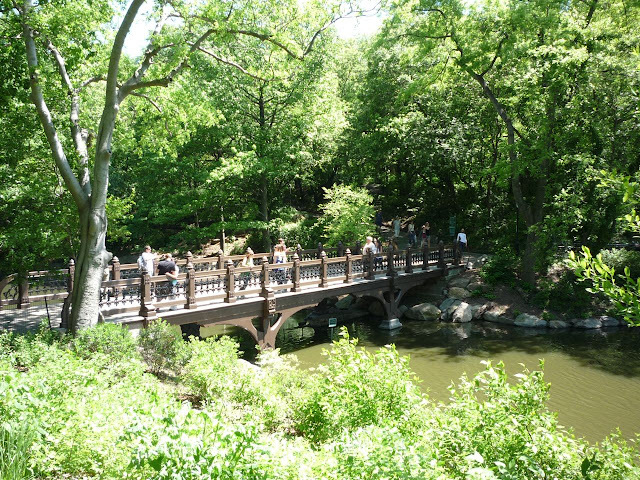 New York Central Park's landscape designers, Frederick Law Olmsted and Calvert Vaux, designed the Ramble this way as a counterpoint to the nearby formal elements of the park. From the days of its construction in the late 1850s, when scores of workers moved the earth, constructed masonry, built artificial hills and streams, carved out paths, and planted a diversity of trees and plants, the Ramble has interested many visitors for its elaborate mimicry of nature. Deep into the Ramble, with paths in different directions and a lamp post to mark the way. 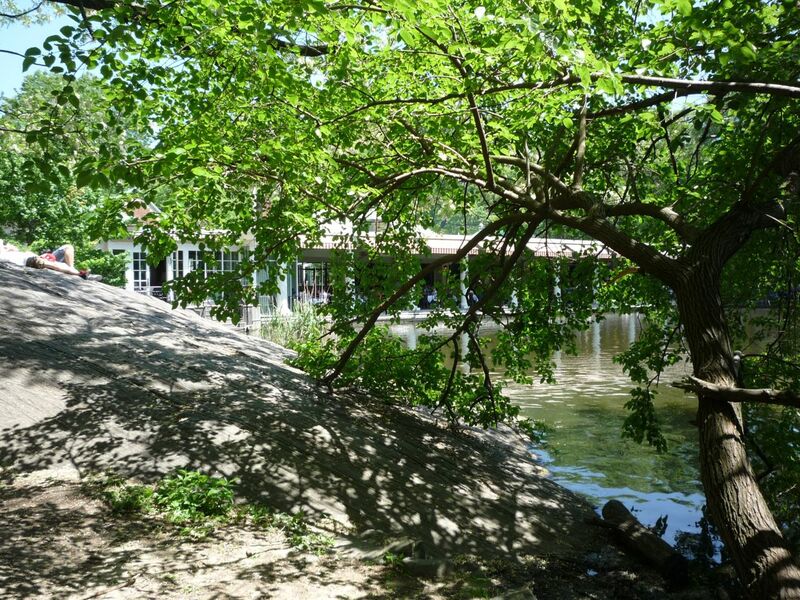 For those worn out by the dainty and picturesque pleasures of the artificial wilderness, stroll over to the nearby Boathouse for some refreshment. 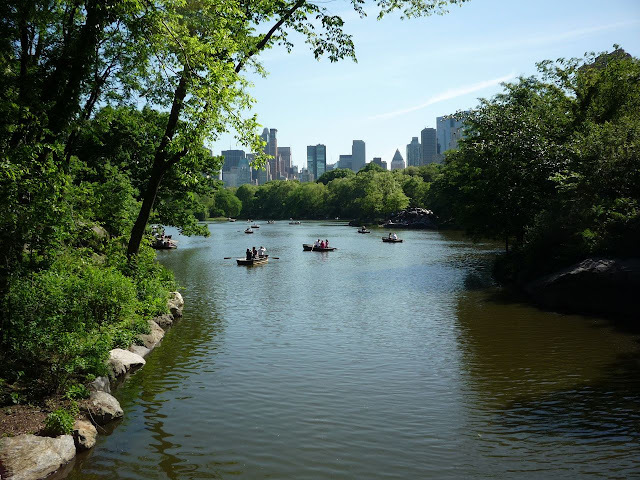 In our day, some might conceptualize the Ramble as a sort of virtual reality, a theme park based on 19th constructions of nature, but contemporary caretakers of the park view these acres as an "ecosystem." Hence, signs in the Ramble urge visitors to not trample away from the paths and to not leave anything behind. 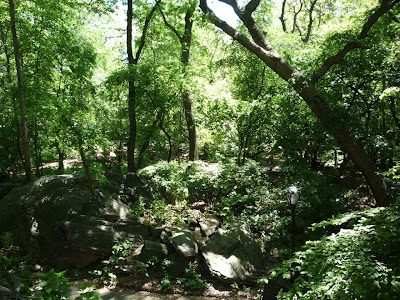 A great variety of birds in the park have long taken to the Ramble for its combination of tree canopies, understory, and water, so the area often teems with birders quietly tracking them. Because of this, the best detailed descriptions of the Ramble may be found on sites and in books devoted to birds. 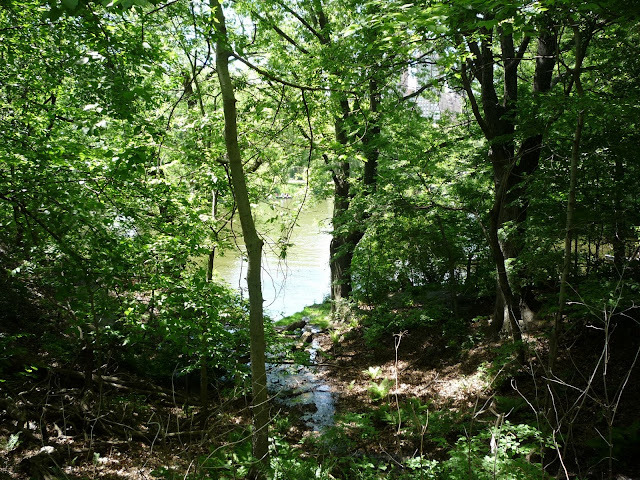 Aside from birding, the Ramble is a good place to sketch nature, sunbathe, picnic, exercise or to make scenic images with photographic or digital equipment. Individuals also enjoy the area for their own preferred social amusements, and so one might stumble upon couples in the woods engaged in various forms and stages of bliss. 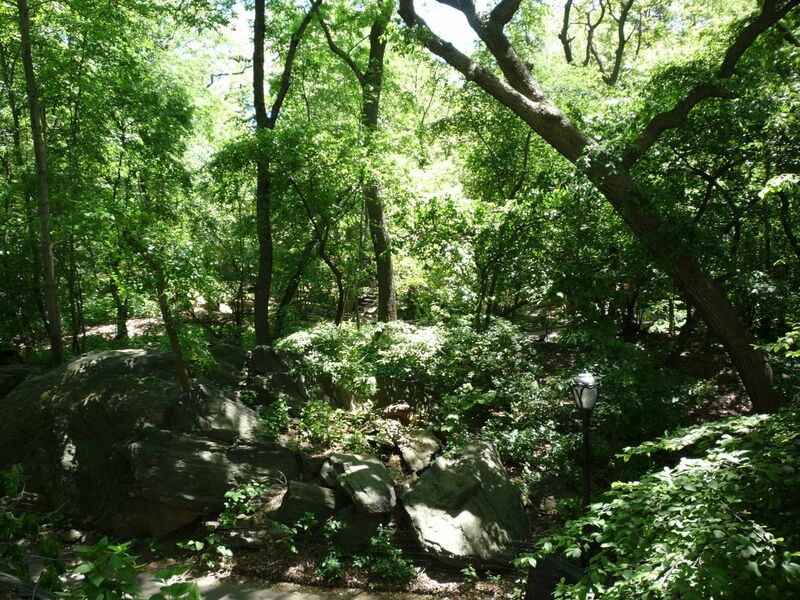 The Ramble, though hardly an untouched wilderness, continues to provide a pleasurable intersection of nature and art. Another view of boaters on the Lake. Created with the Hipstmatic app for the iPhone. Visualizing the Ramble can also include the use of Google maps, but the maps won't help in the likely event of getting turned around in the woods. Still, cellphone coverage in the wilds of Central Park is excellent, and as soon as the lost visitor starts to panic, an oasis appears in the form of the Loeb Boathouse. Getting lost in the woods and then ordering a glass of Sauvignon Blanc can all happen in the space of a few minutes. 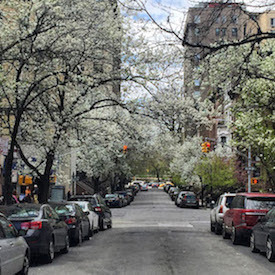 The map notes a few of the landmarks and bridges and other ways of stumbling into the wild side of New York City. 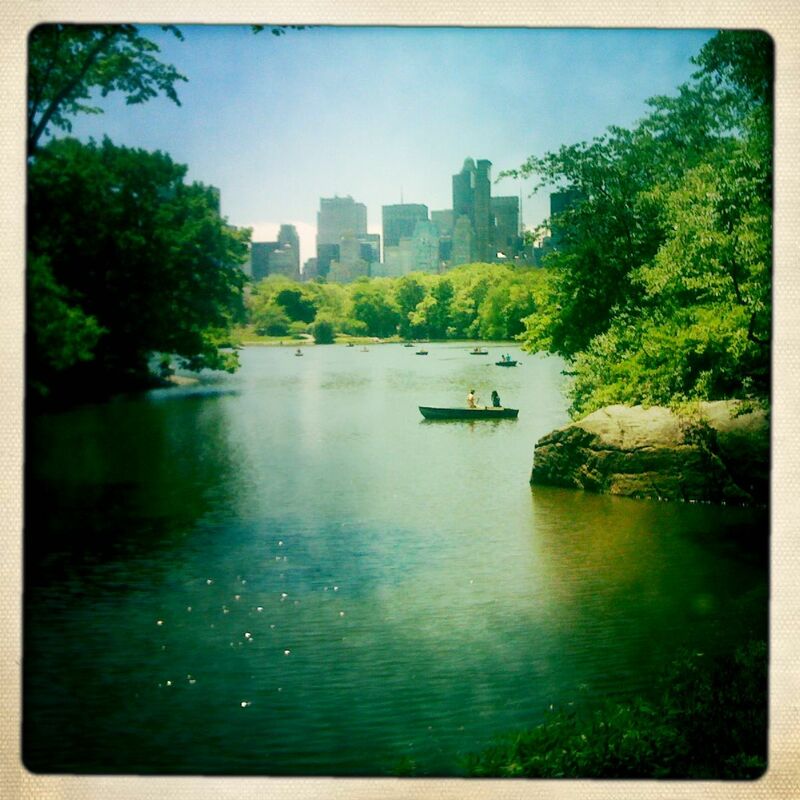 Read the related post, For the Flâneurs: After the Museums, A Walk in Central Park. Read the April 2012 post about Azalea Pond in The Ramble here. Images by Walking Off the Big Apple from Friday, May 7, 2010. Click on images to enlarge them. Many more conventional images of the walk at Flickr WOTBA. The artier iPhone images are in this set. Quotations above come from sources in the public domain. Follow links in the post to read more.